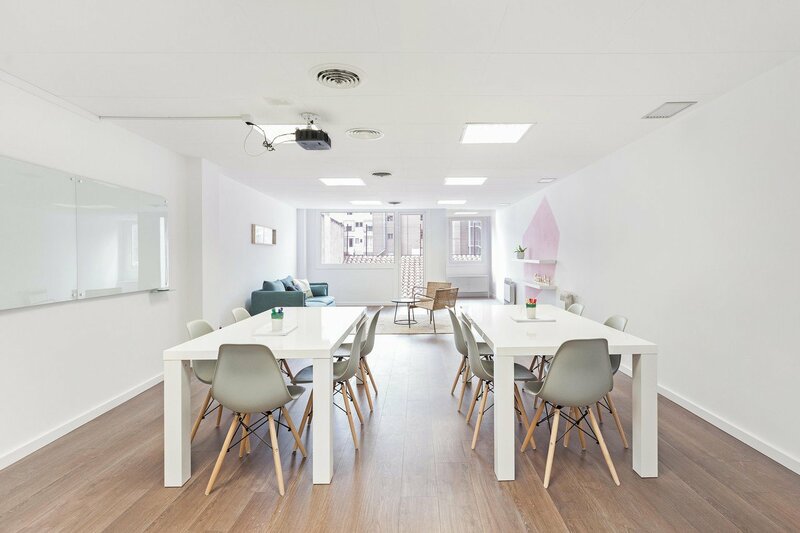 Hire open space in the beautiful neighborhood of Sant Gervasi with its narrow streets and small houses Right between the metro stations of Gracia and Sant Gervasi, making it easily accessible no matter where you are situated in the city. The optimal location of the space puts ir right in the middle of one of the most trendy neighborhoods in the city, filled with trendy cafes, bars and restaurants. It is also close to some iconic places in the city such as Antoni Gaudi’s lesser known but equally beautiful Bellesguard tower and the largest metropolitan park in the world the Parc de Collserola. 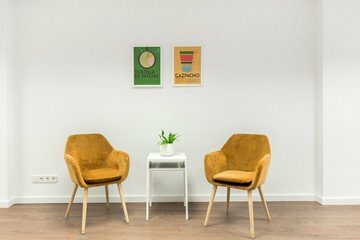 With a stylish design and functionality, hire this space is perfect for meetings, workshops and casual business receptions.Invite your team to an inspiring off-site. A projector, whiteboard and large tables makes this space perfect for larger groups and presentations. The laid-back feel of the lounge area and the small balcony will be great to spark your creativity. The space comes equipped with everything you need for a productive meeting such as a flipchart, projector, pens, paper and a music system for dancing breaks. It also offers delicious breakfast and lunch menus, with options like a pulled pork mini bocatas, black bean mini burgers and mini pita beetroot hummus and feta. With many more options to choose from and the ability to modify the menu based on the guests need. We offer dynamic flexible and highly functional infrastructure to create and develop. We deliver the perfect balance between a professional and relaxed atmosphere. You can put your mind at ease and focus on get your job done. 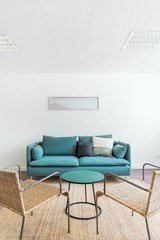 Spacebase also offers the basement room inside this location for hire, equally suitable for relaxed business events and receptions. Both spaces can also be combined are rented together. I received this survey in my inbox in German. You could review the default language to use.